Do I need a car accident lawyer in Alabama or Mississippi after being involved in a wreck? If you have suffered an injury from a car wreck that was not your fault in Alabama or Mississippi, you need to speak with an attorney. The Estes Law Firm can help you. There are many pieces of evidence that need to be gathered immediately to give you the best possible chance of receiving the maximum amount of compensation from the insurance companies. If these items are not secured quickly, they can become unavailable and could affect the value of your case at a later date. Pictures taken of the cars involved in the accident at the crash scene. Pictures taken of all physical damage to all of the cars involved in the collision. Itemizations of any damage to the cars involved in the accident. Black box data from the vehicles involved in the crash. Pictures taken of any injuries suffered by you or the occupants of your vehicle. Pictures taken of the traffic scene, traffic control devices, skid marks, and gouge marks. Witness statements taken of eye-witnesses to the collision. Collision report created by the investigating officer. Officer statement made the by investigating officer. Medical records of any person injured. Insurance information for any available Liability Insurance, Uninsured Motorist Insurance, Underinsured Motorist Insurance and Medical Payments coverage. It is important for you to understand that the insurance companies began building their case as soon as they were notified of your car wreck. You deserve that same level of dedication in your car wreck claim. If you have suffered injuries, you should not delay in seeking help from an attorney. Why should I contact the Estes Law Firm about my car accident? For over sixteen years, Chris defended the insurance companies. Chris worked for some of the largest insurance companies doing business in Alabama and Mississippi. Chris has first-hand experience with how insurance companies and corporations handle car wreck claims. The Estes Law Firm no longer represents the insurance companies and now devotes all of the resources of the firm to representing individuals, families and small businesses throughout Alabama and Mississippi. The sooner you call, the sooner we can begin working on your case. Contact us for a free review of your car accident. If you believe you have a claim, please give us a call and let us get to work for you. What should I do after being involved in a car accident in Alabama or Mississippi? Check for injuries to yourself and everyone involved in the crash. Assist anyone who is injured and in need of help. Call for an ambulance, if needed. Take pictures of the damage to all vehicles involved in the accident. Take pictures of all license plates of all vehicles involved in the collision. Take pictures of any visible injuries suffered by you and anyone in your vehicle. Take pictures of the roadway, skid marks, road conditions and any gouge marks. Take pictures of any relevant traffic control devices such as stop signs, yield signs, and traffic lights. Obtain the names of any witnesses to the accident. Exchange contact and insurance information with the other drivers. Cooperate with the investigating officer but do not make any admissions. Often times auto accident victims are confused and scared at an accident scene and admit fault, even if it is not true. This can severely affect their ability to make a claim at a later date. Get medical treatment, if necessary. If you are injured, it is important that you see a doctor and get a medical report of your health following an accident. Your injuries may not become apparent to you until weeks later, which will make it more difficult for you to receive full compensation for your injuries. Contact an attorney to discuss your options. If the accident was caused by the negligence, gross negligence or wantonness of another, you may be entitled to compensation. Or, fill out the Free Case Evaluation Form located below. Have a trial lawyer answer your question right now. 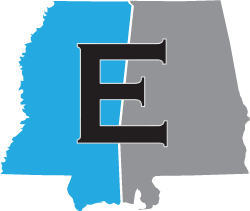 The Estes Law Firm is dedicated to helping individuals, families and small businesses throughout Alabama and Mississippi. If you have been personally injured, harmed or suffered damages, please give us a call and let us help you. Contact us for a free review of your car accident.